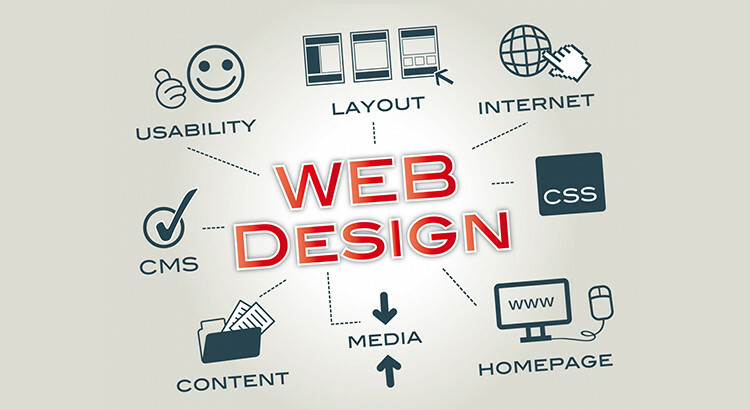 There are many elements in the web designing phrase that can either kill you or save you from the drowning. Like the most thing that come and go, there are certain web designing trends that need reprimand on a timely basis before they start hurting your website. As the time changes, our ability to judge something also changes, hugely influenced by the circumstances we face. For instance, before the world got digitalized (at least it’s going at a good speed), the website had a poor and a clumsy design. But with the time, those websites either had to change their outlook, or they had to go to back home. Some succeeded, while some failed to embrace the dynamicity of the market. Sometimes old design gets in the way of influencing the users to convert into customers. Most people call newness the real faultier of messing up with the things, but it’s not the case. Some people think if it worked in the past and has worked many times for them, it will work for them again in the future. These thoughts act as the shovel for digging their grave, and they see their business going down slide. Let’s see the main web design elements that either help or hurt your website. These often hurt the most and even damage business’s potential revenue growth that it targets to generate through online business. Considering most people not internet savvy and have not much good knowledge about the website design structure, the hidden CTAs or the wrong placement of them can seriously hurt the conversion rate and the business might have to satisfy with the lower conversions. Design the CTA in the context of the content. You don’t want to use the CTA ‘Buy Now’ in place of ‘Download Now’. These little mistakes can hinder your website growth and can easily create distrust among the users regarding your website. When all the CTAs are perfectly aligned with the right page destination, the users won’t feel doubtful while clicking on them. It has been seen that a lot of companies trick the users with wrong CTAs to get their personal information to later use in the email marketing campaign or to sell the data to the data firms. If there’s no search bar in your website to navigate the customers to the right product pages, the users will find it hard to manually explore all the pages to get their desired product. Hence, the right placement of the product bar at the top of the right-hand side of the home, as well of internal pages, will easy the customer’s journey, and he/she may like to buy from the website. Imagine yourself as the user that is trying to find the iPhone, but there’s no search bar to quickly take you to the page. What will you do? Either you will leave the site for being a poorly customer-oriented business model or will do manually if you love doing these things, like hopping from a shelf to another in a departmental store. Nearly 63% shoppers admitted in a survey to relying on the search bar to find the products at their favorite online stores. The percentage will increase given the situation the future will birth to. Since the online world has no physical presence, it’s critical to find the area to at least replicate some of the real world shopping experience for shoppers. Image Zooming has become a real-time experience for the shoppers who want to see the product in an enlarged image, and want to guess the real world look of it, how it would have looked if they had seen it in the real world. Image zooming feature is being looked by the shoppers and they consider it as a necessary option before buying the product. The right placement of the option beside the product display picture perpetually increases your chances to increase your sales and conversions. When you display your contact information at different parts of the website, it creates a trust a factor among the shoppers who love contacting the company to clear their doubts. Hence, to promote credibility and trust, you need to promote the prominent contact information feature. It boosts your confidence level and shows your eagerness to help the customers in whatever they need from you. Moreover, there should be a phone number properly displayed without any second thought. Often customers distrust the website, especially the online stores that don’t have the phone number displayed. It doesn’t matter if you have a person or not to manning the phone, you have to display a number (actively working) to promote the credibility and trust factor among the targeted user. Gone are the days when the website was considered complete that was enough professional and looked impressive to the users. Nowadays it has become a trend to use stock images in the website designing phase. While it gives you a huge option to choose a relevant picture from different paid stock image sites, but there’s no replacement of making a customer photograph or clicking the photograph that’s unique and has your experience and vision in it. Moreover, it’s also a different topic that stock images can be easily manipulated to making them fresh and new. But there’s no replacement to clicking the photographs from your HD DSLR camera to bring the real-life experience in the images to further influence the online visitors.